Music has been an important part of my life for a long time, but I only started singing relatively late, in my mid-teens. 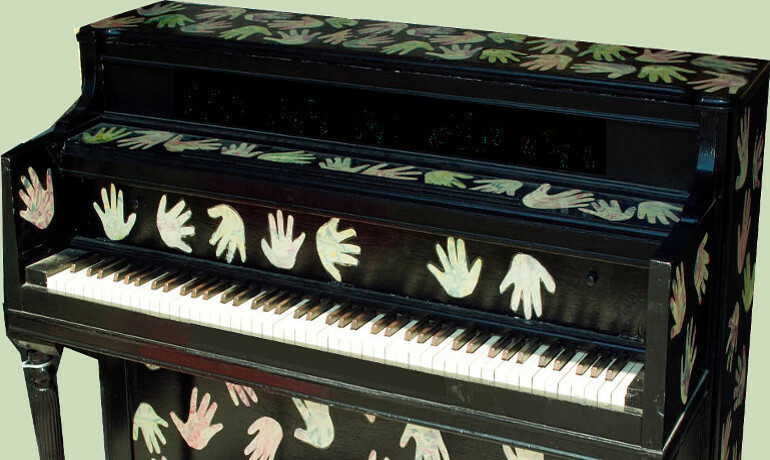 I had some piano lessons and voice training, and I sang with a few different choruses. The links in this area of the site are still under construction. 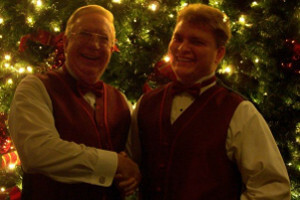 Singing in a barbershop chorus has been one of the highlights of my musical life. We went to interesting places, sang for sell-out crowds, received standing ovations, and supported each other through it all. What a great experience. The closest chorus to me is two hours away, so it's too far, but I hope to join another one someday. I played with a band, "Jason Myers and the Thump-Daddies" in college. 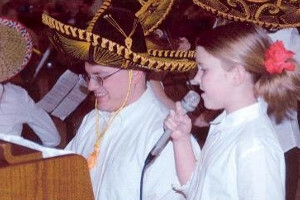 I also sang in church choirs, played for baptismal and funeral services, and directed music. I performed in a Mariachi group for a special occasion, and sang with the Laie Community Chorus at a boat launching. Regardless of when or where it was, I've enjoyed music in all aspects of my life. As a fifth grader, I had a lead singing role in "The GIGO Effect." 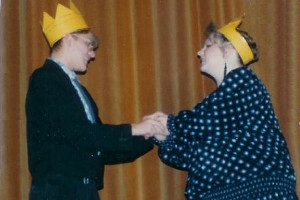 I was the King in "The Seven Dwarfs of the Black Forest" in high school, and played Shakespeare's tragic Glaucaster and Edmund in college. I also played a love-sick ruler, with shades of Elvis, in Lysistrata. I took a big break from theater, but recently played Farmer Mike in our staging of Oklahoma!